In 3 Nephi 18:3-9 we are told of the sacrament and the manner it should be taken. I found it interesting to note that it is for “all those who shall believe and be baptized in my name”. I take that to mean it’s a commandment for those that are baptized to take it but for others shouldn’t. The only exception I know of are children. 3 Nephi 18:20 gives us a powerful promise. We are told that whatever we ask that is right and we believe we will receive; it will be given us. This makes me feel like I’m missing out. If I just had more faith and if I were more intune with the spirit, I could have miracles happen in my life if I prayed for it. I know I am not perfect, so this is one thing to strive towards. “Pray in your families” (3 Nephi 18:21). We just had family prayer, so this scripture sticks out to me more. I love to hear the innocent voice of my son as he prays. He is just three years old but he knows that we can pray for comfort for himself and to ask for comfort for others. It’s still amazing to me how much he picks up of others in need. Meet together oft… forbid them not (3 Nephi 18:22). I haven’t seen anyone come to church to learn that was turned away. I have seen one that reviled against the church and was just there to cause trouble removed. The Denver 2nd Ward always had the most unique Fast and Testimony meetings in my mission. There was a women living within the boundaries that would actively try to seduce missionaries. She was an off limit contact in our mission. She showed up to Sacrament in a suit and her male partner wore her dress. That was of course not how they normally dressed, they were just there to make a circus. After she started bearing testimony against the church, the Bishop had her removed. The Bishop has a responsibility to ensure falsehood is not preached from the pulpit. In this case I don’t think her removal violates this commandment as they were only there to cause trouble and not to worship. In 3 Nephi 19:23 Christ says, “And now Father, I pray unto thee for them, and also for all those who shall believe on their words, that they may believe in me, that I may be in them as thou, Father, art in me, that we may be one”. This verse is a good way to clarify some of the scriptures that are misinterpreted concerning the Father and Son being one. When it’s Christ being in us as the Father is in him, it makes it clear that he is not speaking in a literal physical sense. In this case it’s a symbolic relationship of being together in purpose and heart. I’m grateful for having the Book of Mormon as another testament of Jesus Christ to help clarify some of the plain and simple truths that were lost or misread in the Bible.. In 3 Nephi 19:35 Christ gives those present great praise when he says that he had never seen so great of faith among the Jews. Of all the great miracles that were shown during Christ’s ministry, he was still restrained due to lack of faith. In the case of the Nephites he didn’t have that restraint. In Luke 9:16 Christ took some loaves and fishes and multiplied them for the multitude. In 3 Nephi 20:3-6 he just creates the food. In 3 Nephi 19:35 Christ had said he was able to do greater miracles because of their faith compared to the Jews. I think this is one good example of the great miracles he was able to do. He literally one upped a miracle he previously did. In 3 Nephi 20:30-31 Christ speaks of the time that the fullness of the gospel will be preached across the land. I find it amazing when we find scriptures written for us around 2,000 years ago. In my previous entry I spoke about Christ speaking to our day. Here is another good example. 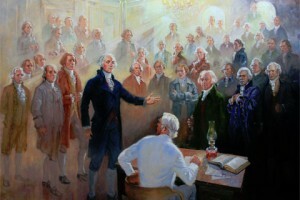 It also gives us a great insight that the formation of the United States was divinely inspired and prepared for. This brings to my memory the record of Wilford Woodruff telling us how the spirits of the forefathers came to him in the temple asking for their temple work to be done. This scripture is using the visualization of tents comparing to spreading the gospel in our stakes. 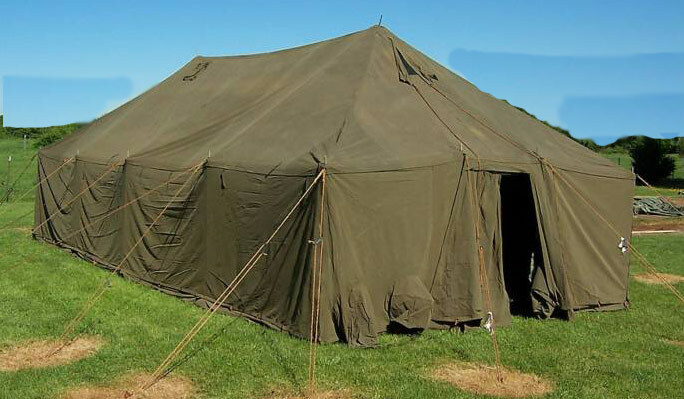 Nowadays many people don’t experience tents with poles, cords and stakes. While in the Army I set up more GP Medium tents with those characteristics than I can remember. If you didn’t set it up right it could collapse in on itself and shrink in a way. By have the cords out and stakes firmly set the tent is at it’s largest. In this case we need to spread the gospel and grow our stakes. Now how powerful of a promise is this? When we are in despair and the world is against us we need to remember this scripture and march on. When we are on the Lord’s errand, nothing can stop us.